For my daughter's 8th birthday I took her to Disney and we did the Bibbidi Bobbidi Boutique at Magic Kingdom. What an awesome time that was. Has your little one done that? While we were there the Princess she wanted to be was Ariel so the transformation to be The Little Mermaid began. Over the weekend we settled in for a mer-movie night. Thanks to our sponsor we received a beautiful Ariel sleeping bag, a crochet mermaid tail blanket - super warm and comfortable, mermaid drinking glasses which we paired with some awesome mermaid juice, mermaid fudge, a Ariel mermaid pillow and an adorable mermaid necklace. It's always so much fun watching Ariel, Sebastian and Flounder on their wild adventures and this time you can watch them for the first time Digitally in HD, 4K Ultra HD and in movies anywhere on February 12 and 4K Ultra and Blu-ray on February 26. 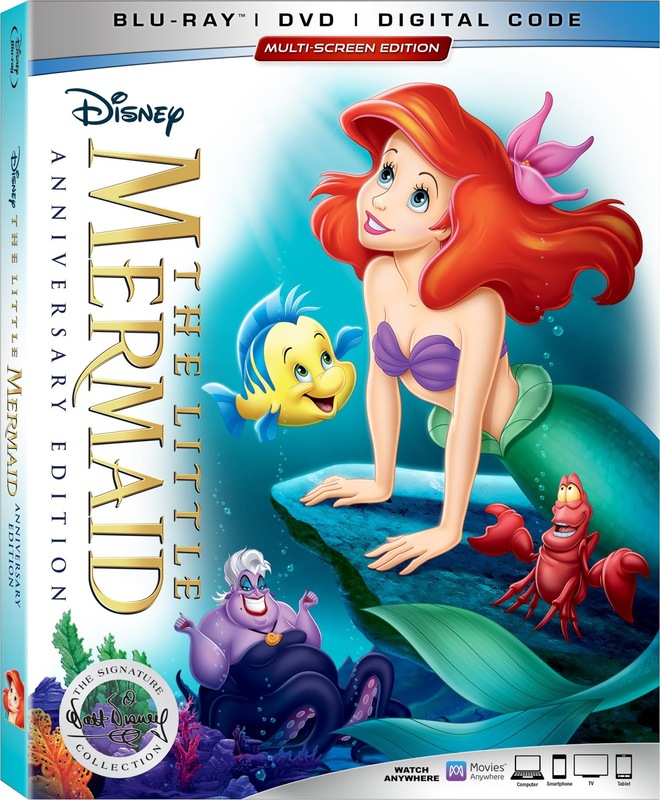 The colors and images on Blu-ray are awesome and we had so much fun singing along with Ariel and her crew. This review was so much fun for us. My daughter loves The Little Mermaid. She was TLM for Halloween two years ago and a mermaid this past Halloween. She was so excited to put on her costumes. As you can see she was really enjoying her time with Ariel, Sebastian and Flounder and all their adventures. We made some popcorn, had some mermaid juice in our mermaid glasses and enjoyed some magical fudge as well. If your little one is a Princess Ariel fan, we definitely recommend getting this new release. Create a magical mermaid party and sing your hearts out. #TreasuresUntold – Join Ruby Rose Turner and Olivia Sanabia from the Disney Channel Original Series “Coop and Cami Ask the World” as they take a deep dive to explore some hidden treasures and fun facts about Disney’s The Little Mermaid.